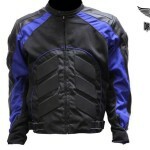 AMERiders knows that Safety Trumps Style when referring to Protective Motorcycle Gear. When choosing between stylish riding gear or walking away from a crash the choice should be obvious. 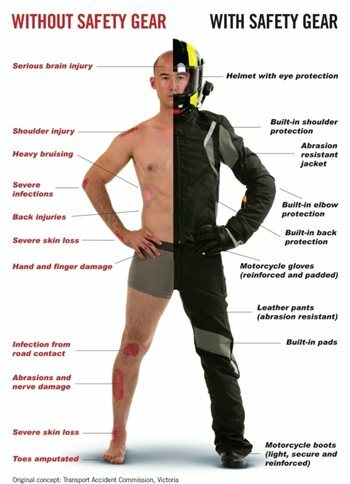 You can’t prevent an accident by wearing Protective Motorcycle Gear, but making smart choices about your gear can make a big difference if something does ever happen. 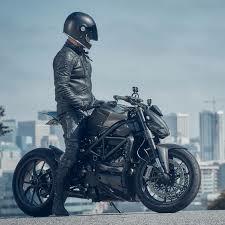 Most riders would say that a helmet is the most important piece of Protective Motorcycle Gear. A great helmet helps by ensuring significant impact and accident protection as well as helping you hear and see better while riding. 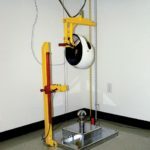 The National Highway Transportation Safety Administration says a rider without a helmet is 40% more likely to suffer a fatal head injury, and they also say that helmets have saved over 19,000 lives between 1984 to 2006. 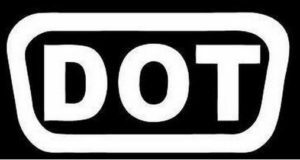 While shopping for a helmet, you may notice decals from either the Department of Transportation (DOT) or Snell Memorial Foundation (Snell). 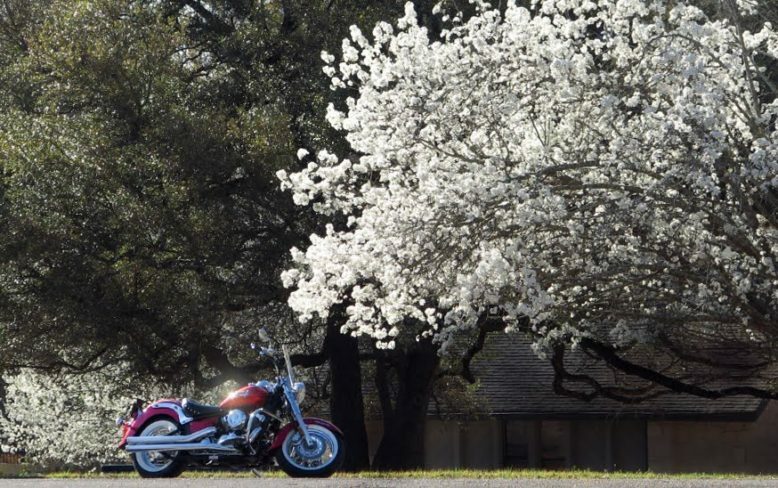 Both address rider safety, however, there are important differences between the two certifications. All helmets sold in the U.S. are required to meet the DOT’s FMVSS 218 standard. However, Snell helmet standards have to go through rigorous tests that the foundation has developed. 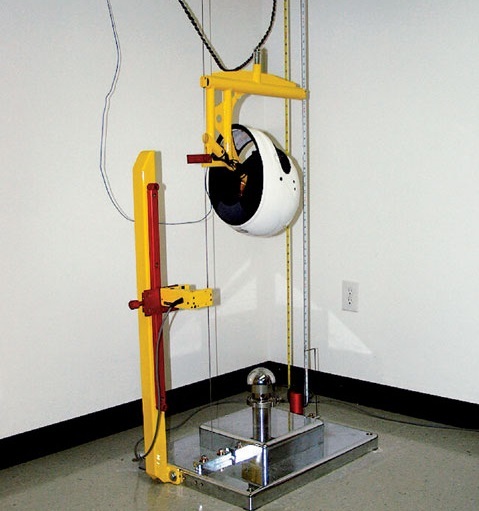 Helmets and other headgear are voluntarily submitted to snell for testing by their manufacturers. 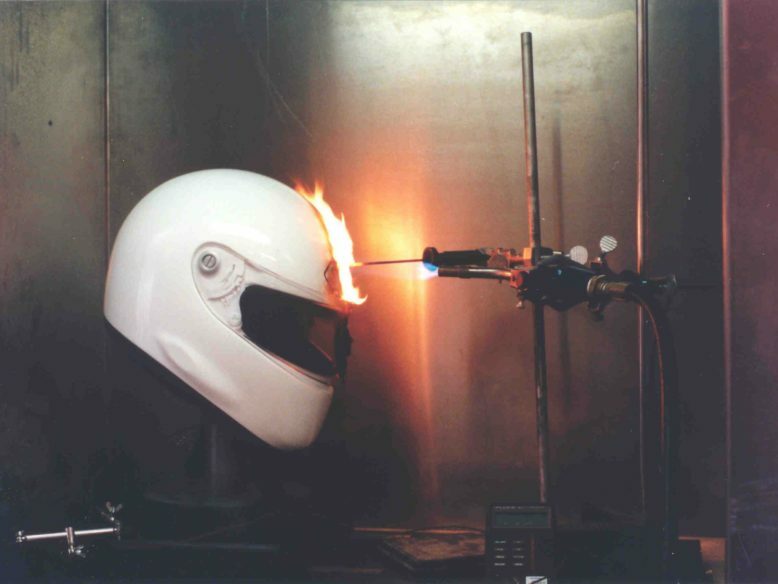 Each helmet goes through at least 7 test types from impact to shell penetration tests to flame resistance testing. 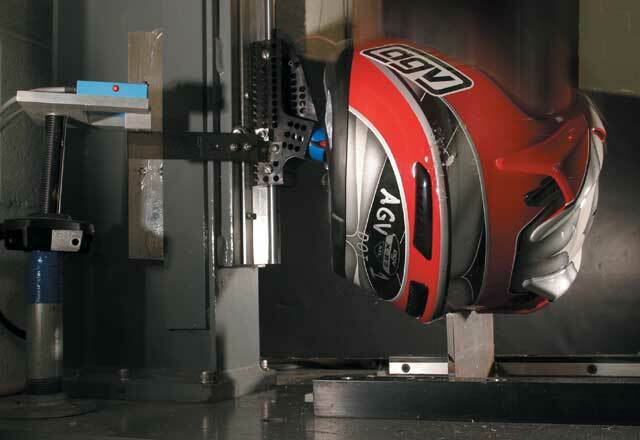 Only helmets that pass the technicians testing get certified. 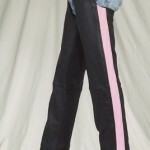 Get the proper fit. 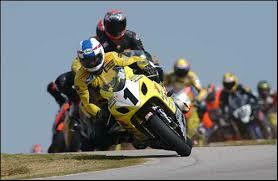 Your helmet should grip your cheeks, your jaw, the top and sides of your head. 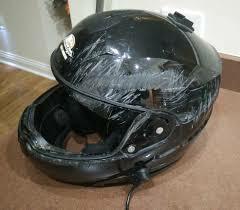 Avoid used helmets. 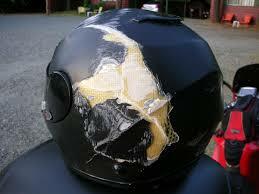 Helmets are made for one impact use, so there is no guarantee a used helmet hasn’t been compromised. 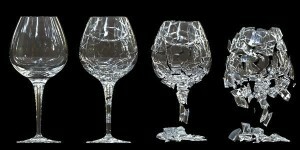 Remember that wear and tear may significantly reduce protection over time. 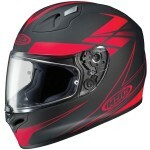 Full-face helmets offer greater protection than three-quarter or half-shell styles. 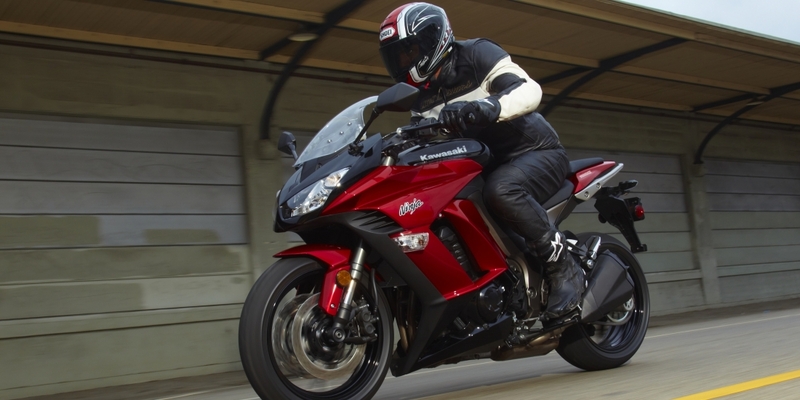 When riding, your feet keep you balanced when stopping the bike. 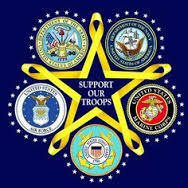 They also take a beating from the elements while moving. That’s why tennis shoes or plain old cowboy boots are not smart choices. 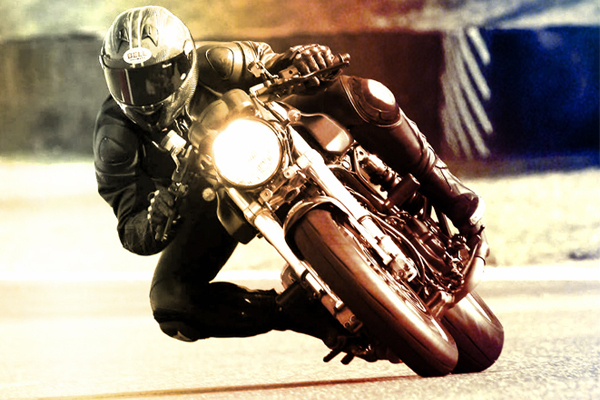 To stay comfortable—and safe—while riding, purchase a pair of high-quality motorcycle boots, as a great addition to your Protective Motorcycle Gear. 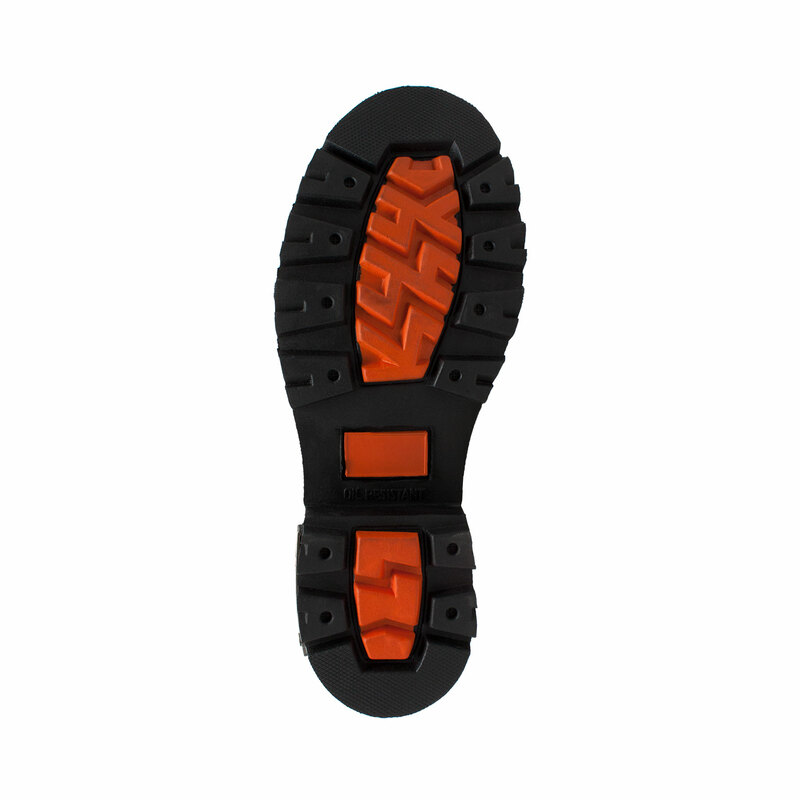 A stiff rubber sole will help provide protection when you’re moving. 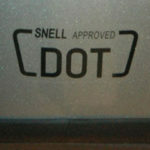 As well as provide traction when you stop. Good soles can actually prevent you from tipping over if you plant your foot in gravel, oil or sand. 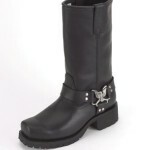 And boots with a heel they may offer a better “hold” on your bike’s pegs. 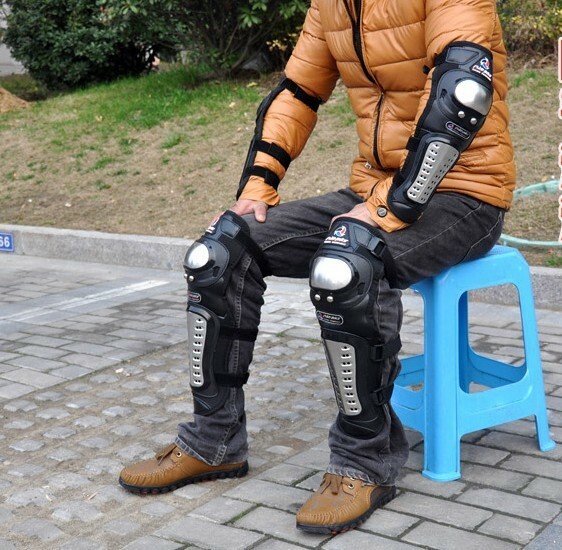 Boots protect both your feet and your legs. 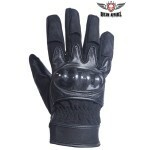 While the most motorcycle boots are made of leather, some of the best boots are also reinforced in major areas. 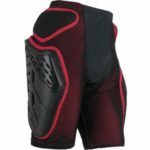 Such as shin, ankle, and calf with a strong material like Kevlar. 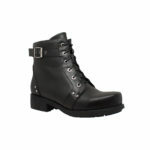 Choosing a comfortable protective pair of boots is vital. 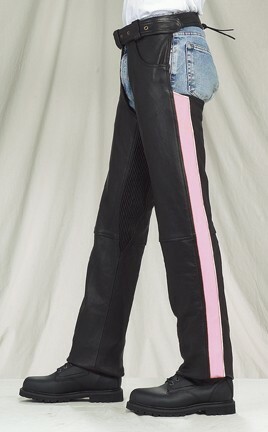 Your Boots should fit snug enough to stay on if you wreck, but loose enough to allow proper circulation. Quality motorcycle boots will help your feet stay dry and cool. 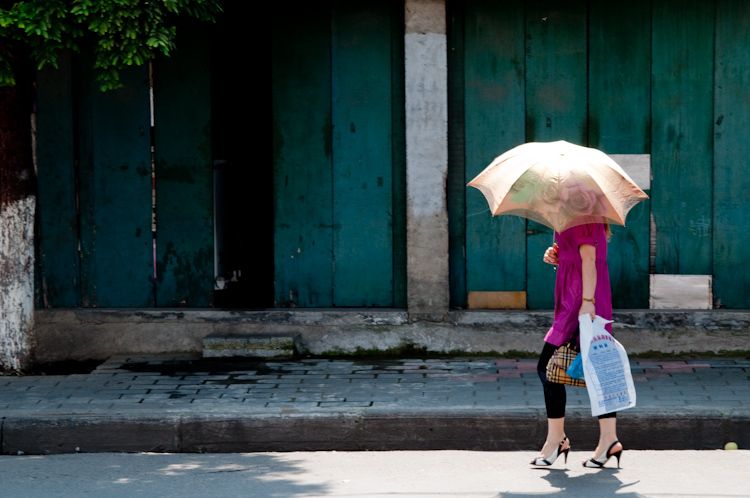 Waterproof or water-resistant materials, as well as a ventilation system that lets your feet breathe, are important to look for. 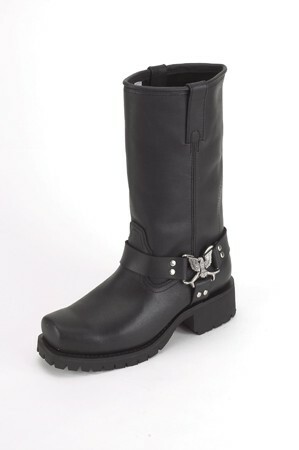 The sole shown here is a great example it belongs to the boot above our Women’s 6″ Lace Zipper Boot Black it is a great example of a boot to buy. 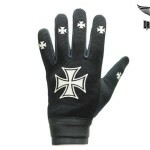 It has comfort, durability, and traction control. 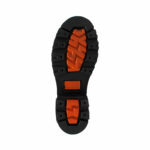 As well as an extra heavy duty traction sole for added protection and style. 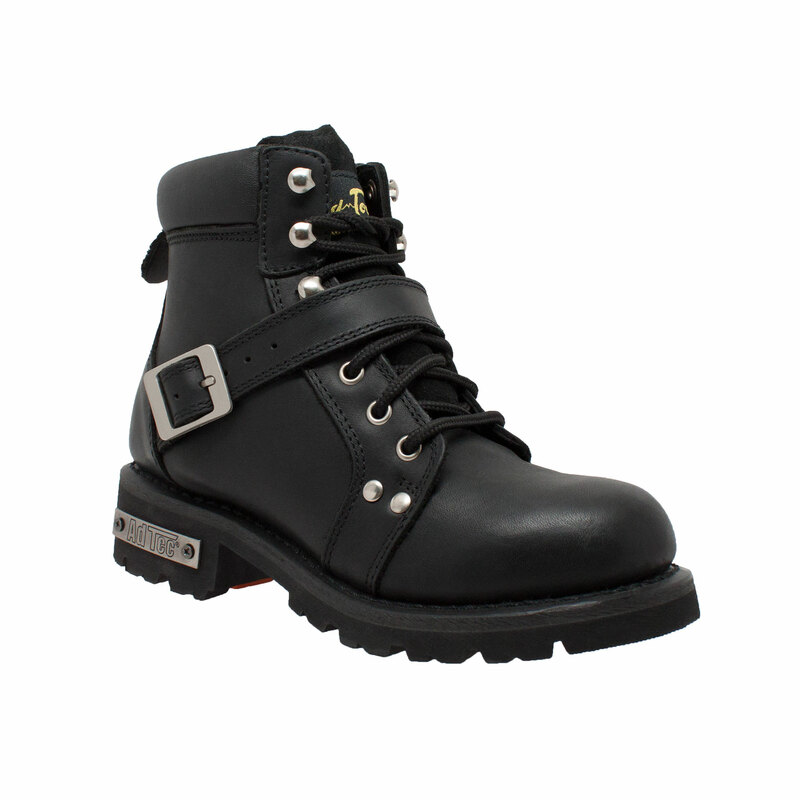 This boot also has Goodyear welt construction with top quality full grain oiled leather. 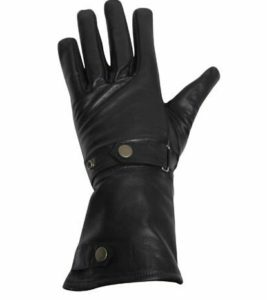 Like boots, gloves offer both comfort and protection. 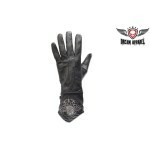 Gloves protect your hands from the weather. 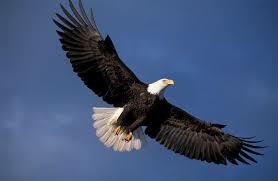 They may also save your hands in a crash since it’s second nature to extend your hands during a fall. 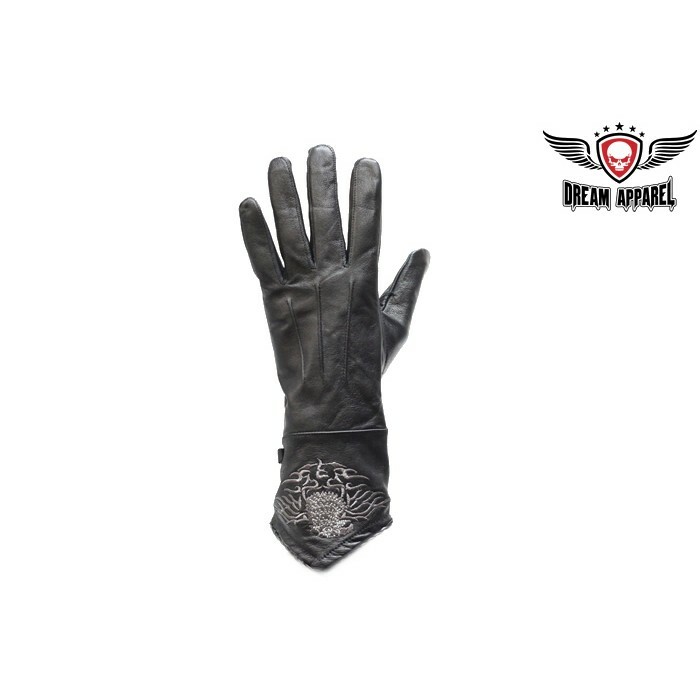 Gloves that protect your whole hand, including palms, fingers, and wrists. 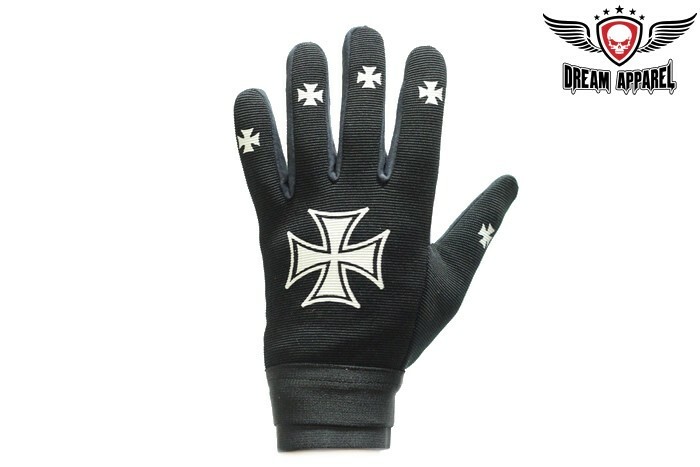 Ensure that your gloves are comfortable in any weather. 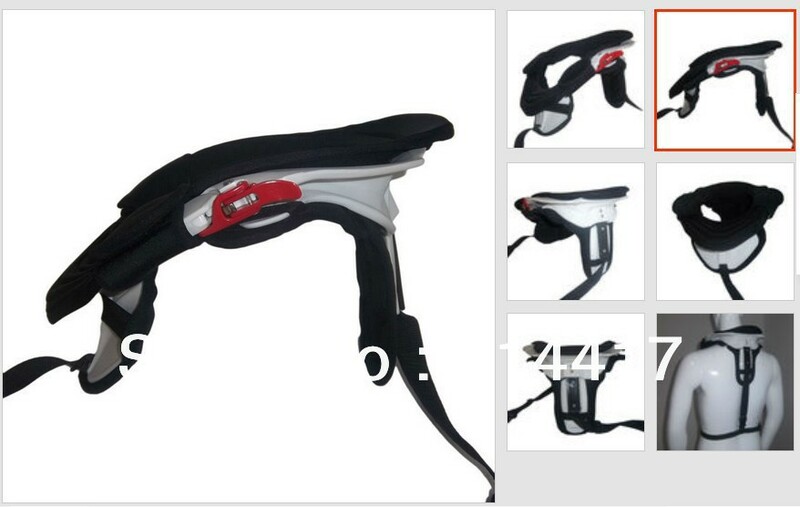 Great comfort can lead to better control, especially if you’re riding for long periods of time. Lastly, Also make sure you actually wear your gloves, they can’t be considered part of your Protective Motorcycle Gear if you don’t wear them. 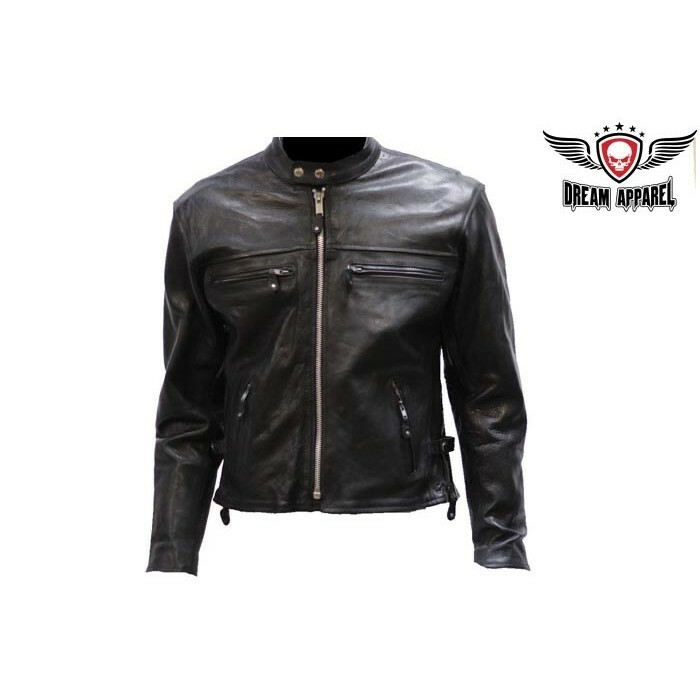 Leather may seem like a fashion statement, however, quality leathers are an important first layer of defense between you and the road. Some materials may “grab”, leather doesn’t. 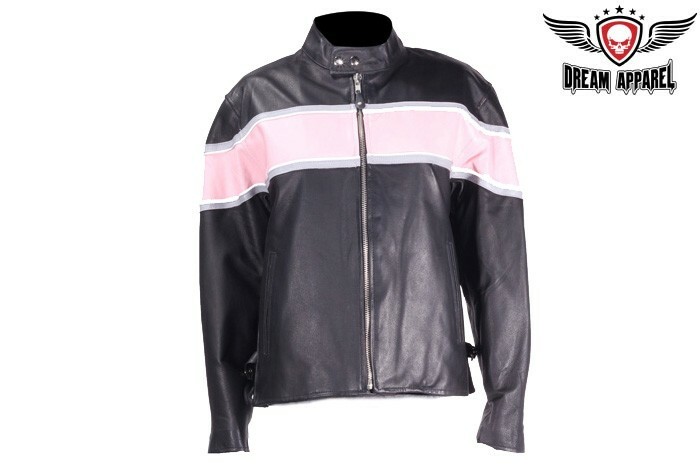 A rider wearing leather in an accident may be more likely to slide, instead of doing a tumbling act, an advantage which can greatly reduce some serious injuries. What is this about armor? 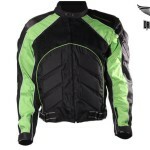 Memory foam armor is similar to the material inside motorcycle helmets and offers the highest impact absorption. 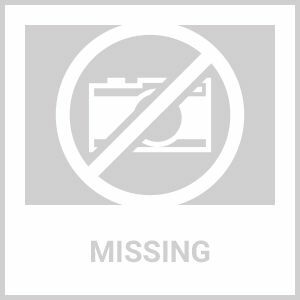 Hard armor is generally impact-resistant plastic with a foam interior. 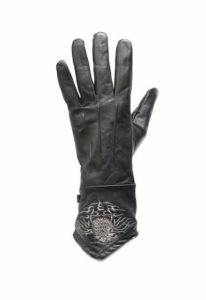 Hard armor tends to have less give in a fall. 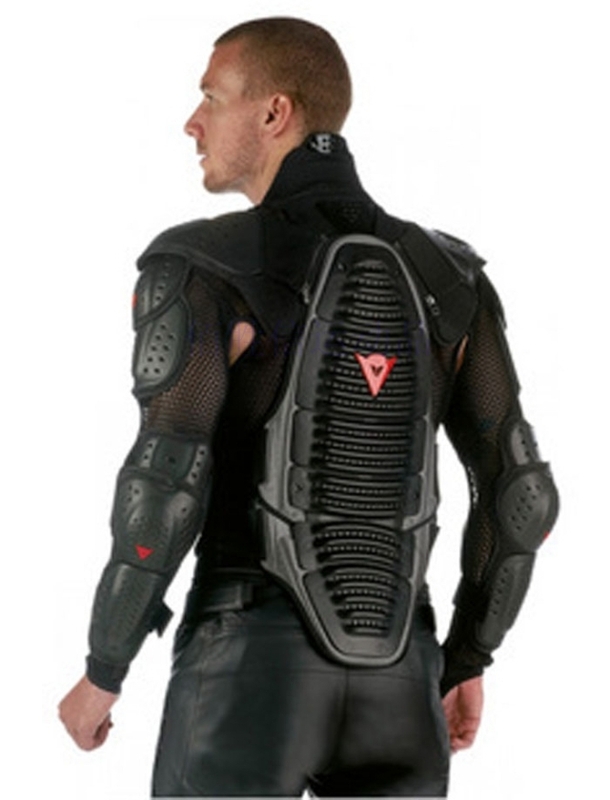 Foam armor, usually made with inexpensive foam, offers the least amount of protection. 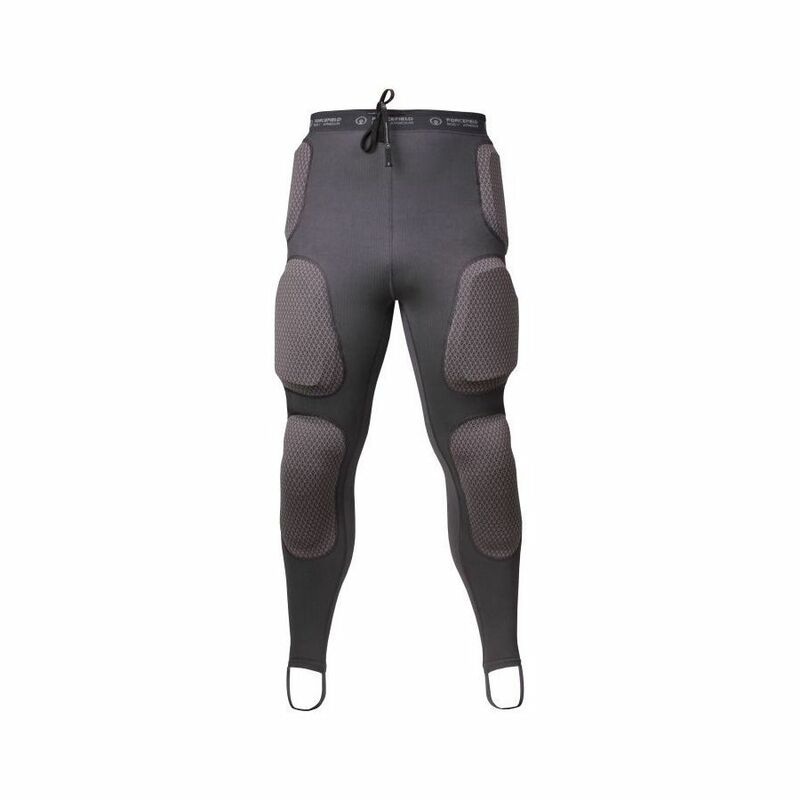 Even if it is just a quick run to the store, don’t ever take a shortcut with your protective gear. Jeans and a sweatshirt won’t be enough if you’re sliding across the pavement. 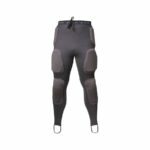 Riding gear may seem like overkill—and sure, it’s miserable on the hottest days—but it can help prevent road rash, broken bones, or far worse. 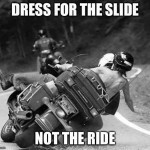 We even wrote an article titled Dress for the ride, not the slide to explain the importance of riding gear. 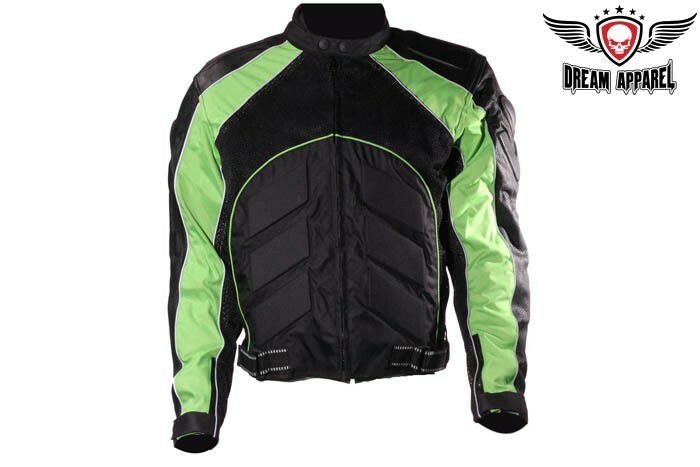 AMERiders knows the importance of Protective Motorcycle Gear, let us be your stop when looking for your next set. Why so Serious? 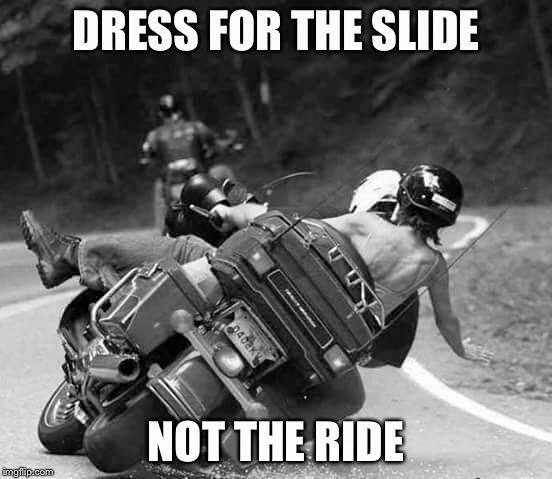 Motorcycle Helmets Are Important! 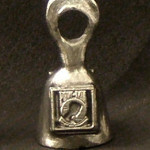 Our last blog post we gave you a chuckle but today we are going to take it to the serious side. Why are we at AMERiders being so Serious? 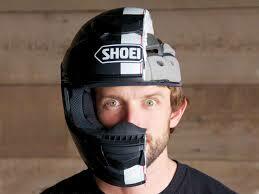 Because Motorcycle Helmets Are Important to a rider and their passengers. 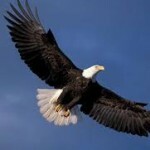 Not only can keep you alive they can also help to prevent serious injury as well. We love our customers, which is why we want them to ride safely each and every time they ride, even if it is just up the street to the store. 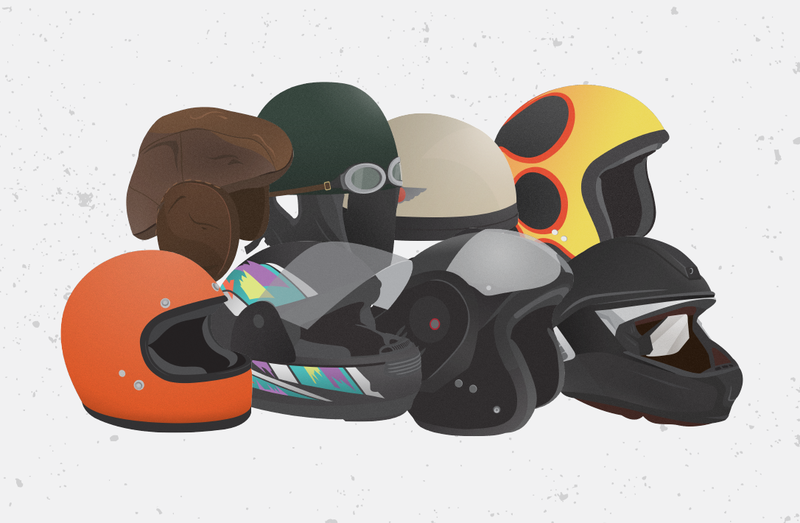 Plus, in honor of “check your helmet month,” we thought we would explain things a bit. Which of these two helmets would you say needs to be replaced? If you said both of them then you would be correct as you cannot tell if the top helmets protective elements are still intact or damaged enough that when it is used next that it might shatter like a porcelain cup, which would not be good. D id you know that just knocking your helmet off your seat to the concrete can possibly cause it not to work effectively? A helmet is designed for just a one impact use, and while just dropping your lid on the kitchen floor or even outside to the ground may not have the same impact force as when you are thrown from a motorcycle in a crash; if you do drop it or knock it off your bike have a professional check it out to make sure that it is still safe to use, just in case. 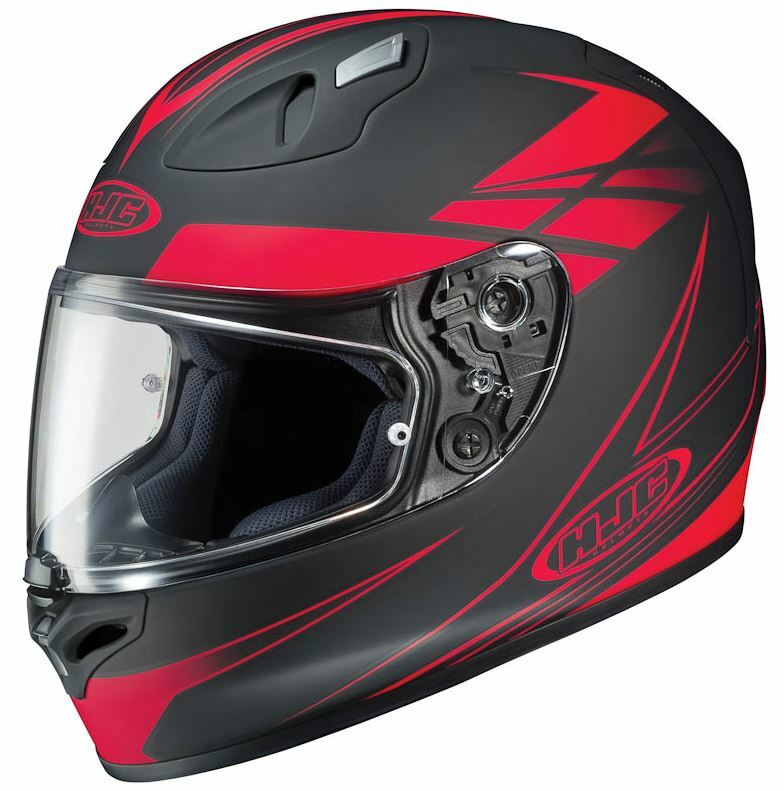 What causes a helmet too loose its effectiveness in a crash? We are glad you asked, we did some checking around for a good explanation for you and found this bit of information from a well-known insurance company. 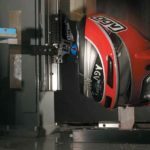 “When your head hits the ground (or another obstacle) during a crash, the impact is absorbed by the helmet’s hard thermoplastic outer shell and dispersed across the entire helmet. Once the outer shell has been used up, the force of the impact is transferred to the soft polystyrene inner liner. We did cross-reference this with other places and they all basically say the same thing if you are in a crash replace your helmet if your helmet is dropped get it checked out by a professional unless you can visibly tell that it is compromised. We know our customers know Motorcycle Helmets Are Important, it is those that don’t understand why they are we want to inform, which is why if your and your helmet looked like this in your crash…..
Then you should definitely replace your helmet! 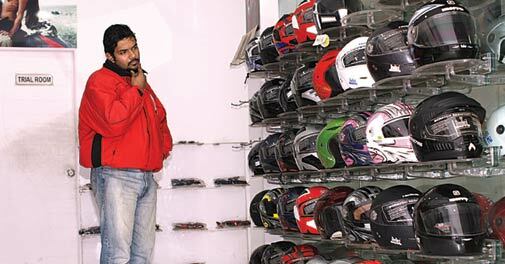 Even if you haven’t been in a crash then you should replace your helmet every 2-4 years as some helmet Helmet manufacturers believe others say 1-3 years. Why replace it if it has not been damage? Another good question, the answer is simple that the protective qualities of the helmet will over time begin to deteriorate, from your sweat and your hair’s natural oils. So while it may feel like your same comfortable old helmet, you could be wearing a glass helmet just waiting to crack under the first crash. 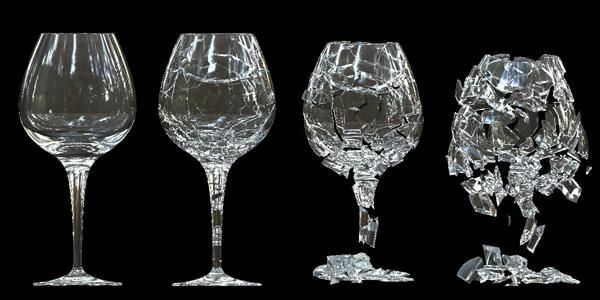 Take the picture below the first glass is your brand new helmet no crash and no impacts and as the picture progresses to the end either from wear and tear or a couple of impacts and not being checked you have a crash and the last glass is exactly what happens with your helmet. 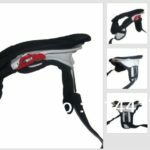 So always make sure that you replace your helmet every so often as not only does it degrade with time but also technology in protection is always advancing and you want to make sure you have the most cutting edge helmet materials to protect you. 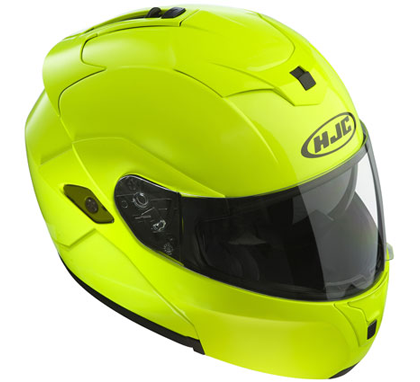 We at AMERiders understand helmet importance and carry a number of DOT/Snell approved half, beanies, three-quarters, modular and full face, and other styles of helmets from name brands like HJC, Rhodia, Caliber and more; as well as a number of novelty helmets as well. 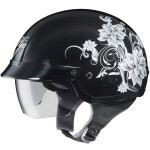 Ladies we also have a number of styles for you to choose from to keep your pretty little noggin safe from harm. 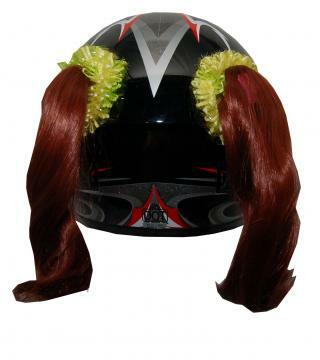 If you need to replace your visor or want to spruce up your helmet so that you don’t feel so uncomfortable wearing it we have a number of accessories for you to add to it, such as Pony, pigtails , or bows for the ladies, as well as a number of styles of horns and mohawks also. 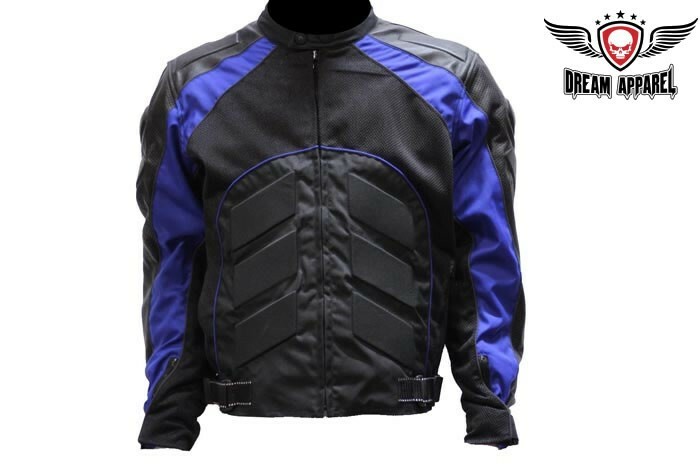 Your Motorcycle is supposed to cost an arm and a leg, not your Protective Gear let AMERiders get you geared up at a reasonable price. 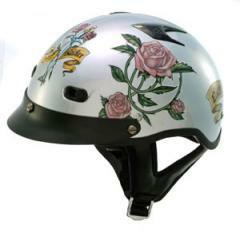 Don’t forget Motorcycle Helmets Are Important too. There are many reasons to reasons that call for wearing a helmet, jobs, some recreational activities and yes even some hobbies require them as well but did you know there are some other Unique Uses for Motorcycle Helmets we at AMERiders are going to give you a list of a few of them. 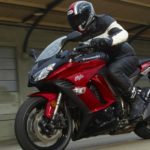 There are obvious benefits to wearing a motorcycle helmet and the main one is to protect the wearer from serious injury, however, there are some people that still choose to ignore the safety benefits and go without their helmet. There are many reasons people do this such as wanting to keep their image up, they feel uncomfortable in one, and many others. 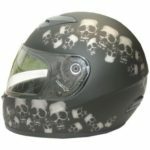 If you have a custom made helmet you don’t have to feel uncomfortable or feel like you look uncool or awkward either. 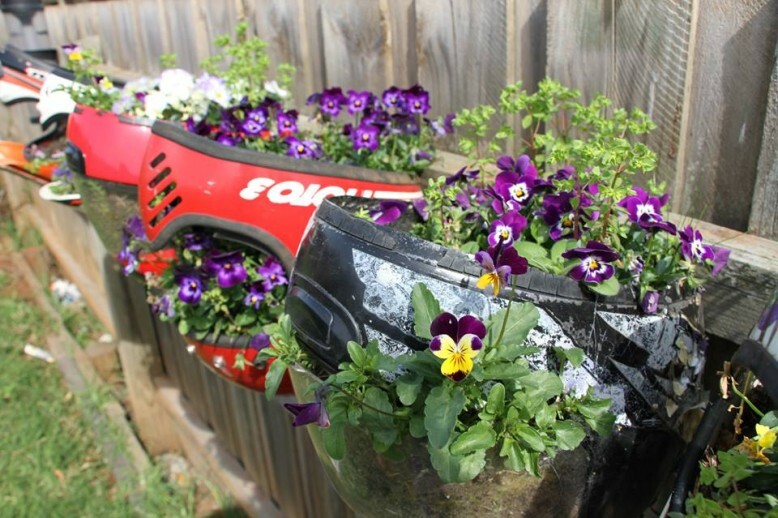 Plus if your helmet becomes damaged in a fall there are things you can do instead of just throwing it in the garbage. Not seeing those flashing lights in your mirror or rather a smokey off your back? What are we talking about? Staying on the right side of the law is what we mean, as certain activities are governed by the law in some states that you must wear a helmet when doing those activities. So use your noggin, stay in the within the law and wear a helmet if you want to stay clear from unwanted fines or jail time. If you need a helmet try one of our Modular helmets that are chatterbox ready such as our DOT Rodia Full Face Pearl White Modular Helmet is the new addition to the Rodia line of products and it is a stylish convenience at its best. 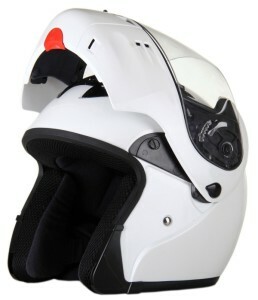 This Rodia RF-4 Modular incorporates the benefits of a full-face helmet with the advantages of an open-face helmet. 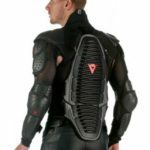 It features a Flip-up the shield or, with the touch of a button opens the entire front and is made with a Lightweight Shell Design, which has an aerodynamic fiberglass shell and an ABS/Polycarbonate Alloy chin bar. 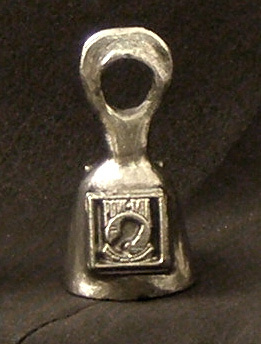 Not to mention the Large eye port opening for much greater visibility, and much, much more. 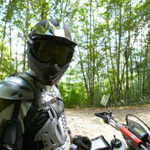 Keeping bugs out- helmets add more than personality they keep, the wind, dust, rain, and even yes bugs out of your eyes and mouth. 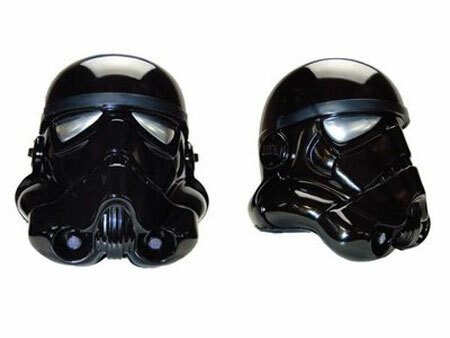 If you have a custom built helmet you can Rock your geeky side by having it reflect a person’s personality, such as a Storm Trooper, Ironman or any number of other geeked-out looks. 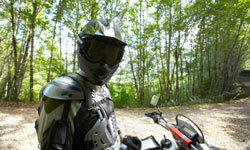 But it also goes without saying that they some like full-face helmets will help you to use less sunscreen. Ladies, there are helmets for you too like our DOT Vented Ladies Silver Lady Rider Shorty this gorgeous helmet, is one of the lightest and smallest in the market. 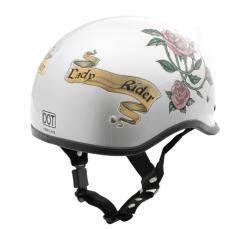 Sports beautiful graphics of skulls, roses, and the lady rider ribbon on a glossy black vented helmet. 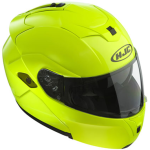 We have a large selection of Men’s, Ladies, and youth DOT/Snell approved half, beanies, three-quarters, modular, and full face helmets in many of the popular brands such as HJC, Rodia, MotoX and many more including a few novelty as well. Ledt us finish this post off by saying that, if your are an Motorcycle Rider and lover like we are then wearing a motorcycle helmet is like eating to live, your gonna have to do it so do it already! 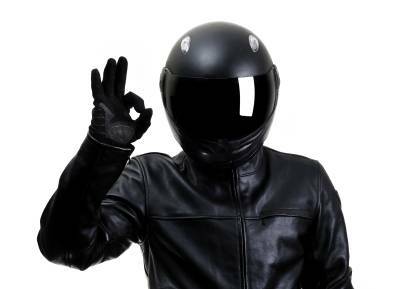 Let AMERiders be your choice for a Helmet when you have an idea for Unique Uses for Motorcycle Helmets.